You've found your Denver Process Server! If you plan on mailing documents and/or payments, make sure to Email or call first, for our correct mailing address. Paralegals, Attorneys and process serving company clients: Ask about our Consecutive Serve Discounts! A Member of National Association of Professional Process Servers will work All of Your Serves! If we have your email, we will email you a PDF copy of the Affidavit, before mailing the original. When you require a Process Server for the Denver Colorado area , we've got it covered for you! We're preferred Colorado process servers for service in the Denver area. 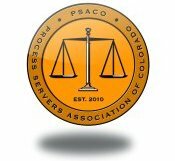 Extremely experienced, professional, and vetted Denver process server, offering a variety of valuable services: Process Serving, Skip Tracing ( both online and in proprietary data bases that the general public does not have access to ) and on-the-ground investigations for the purpose of process serving, are all available. Pre-Serve Skip Tracing. Video, Field Photography ( property photography ), Photographic and Video Evidence. Prepay your Denver process server fees and see Area Coverage in the top menus of this page. Please call first if you're unfamiliar with the area and need to verify area coverage, and for the correct mailing address if you plan on mailing us your serve(s). Fully Insured with industry standard "E & O" ( Errors & Omissions ) and General Liability insurance! Subpoena Issuing: Our Denver process server can have your Subpoenas issued in Denver, Jefferson, and Arapahoe counties. Email or call us for fees. Production Agent: We will agree to act as a Production Agent, for cases that we serve, in Denver, Jefferson and Arapahoe counties. This entails receiving documents that were subpoenaed by a serve that we performed. We require a PDF of a printable label addressed to the client, which can be attached to a Fedex or UPS envelope for forwarding you the documents. We’re “within 75 miles” of Denver, Jefferson and Arapahoe counties, for the rules requirement for this purpose. Our Denver process server can perform professional, yet kind and sensitive service with residents at assisted living centers and nursing homes. We can also send our Process Server to deliver important demand letters, with affidavits if you need one, and we can also do address verifications for you! Our process server can most often obtain Video and Audio evidence which may be available to you after your serve - even if the serve is done at night. Our Denver process server can do Registered Agent Serves for you. For example the Corporation Company ( AKA CT Corporation. ), CSC – Corporation Service Company, National Registered Agents, The Colorado DMV – Division of Motor Vehicles, Attorney General, Division of Insurance ( they require 3 copies for your Colorado process service ), Colorado Dept of Revenue, Colorado Attorney General, etc…. So make us your Denver process server for all of your Colorado process service in the Denver area! We handle all manner of service of civil process : Summons – Subpoenas – Subpoena Duces Tecum – Administrative Process Notice of Financial Responsibility for Child Support – Child Custody - Debt Collections – Evictions FED – Garnishments – Notices of Impending Levy for Garnishments – Interrogatories – Restraining Orders – Registered Agent Serves – Corporate Serves, Divorces… You name it, if it's civil, we serve it! DWCF - Denver Women's Correctional Facility: We've effected process service on inmates at DWCF. Because it's an appointment serve and requires a prior appointment and a background check of our process server each time, our 1 Day Rush fees apply. We'll need the inmate's name and DOC number from you in advance. Please allow a few days for the appointment to be scheduled, and background check to be done. While our offices are in Lakewood and Denver, we're also very close to Wheat Ridge, Greenwood Village, DTC - Denver Tech Center and Arvada, as well as several other Denver suburbs. Please see our Area Coverage page in the menu, for complete details. Paralegals, we have enormous respect for the hard work you do, yet we also realize that those working in your specialty may not be familiar with ours. If you have any questions at all, before, during, or after our service, please feel free to ask, and we will patiently and kindly do our best to assist you. Copyright 2006 to Present - Denver Process Servers, LLC -- f/k/a Colorado Process Servers LLC™ -- All rights reserved.